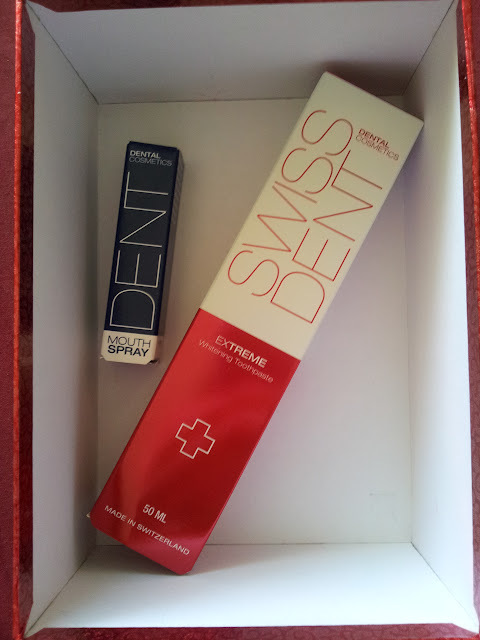 About a month ago I started using two Swissdent products that were kindly sent to me for trial and consideration by Sandra, the general manager of White My Bite. One of which was whitening toothpaste and the other was mouthspray. Swissdent was founded in 2006 by leading Swiss dentist Dr. Vaclav Velkoborsky who recognised the need for gentle, mineralising and whitening toothpaste. He developed a formula which is Swissdent's secret recipe comprised of a special combination of high-tech and natural enzymes. 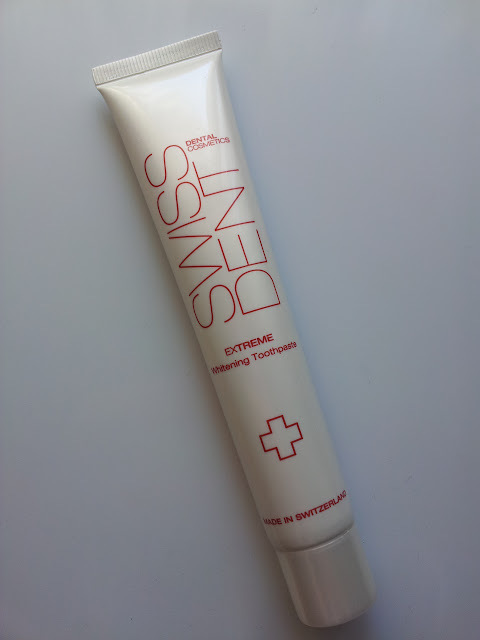 This unique, worldwide patented formula of Swissdent provides a gentle means of brightening and cleaning teeth effectively. What made me interested in trialing these products was the fact that I don't have pearly whites (due to genetics) and I had tried other whitening methods such as whitening kit/trays, other toothpastes and also LED whitening, all of which produced unnoticeable to subtle results. Replaced my previous toothpaste with this one for over a month, and still continuing. For the first week, I was able to brush my teeth 3 times a day with this toothpaste however due to uni schedule and purely not bothering, I went to back to brushing my teeth twice a day with this toothpaste. I wasn't able to get used to brushing thrice a day. It was very difficult to not rinse at night... having toothpaste left in my mouth 'un-rinsed' was uncomfortable and I would continuously have the urge to spit or swallow the excess. I couldn't help but wash it down with water. I have no before and after pictures to share because as I mentioned above, the differences were not that noticeable and photo lighting would have an effect on my teeth's appearance. I guess I wasn't the most suitable candidate to trial this product for many reasons like not always brushing three times a day, my teeth not being discoloured for the mentioned reasons and keeping my mouth water and rinse-free when brushing at night. But nonetheless I still enjoyed using this toothpaste, I can't really think of any negatives and I will continue using it until it runs out. As for repurchasing... it would depend on the price and whether I feel that this benefits me more than regular toothpaste. I do like this toothpaste however I could easily go back to using regular non-whitening toothpastes due to the fact that the results have been quite subtle. 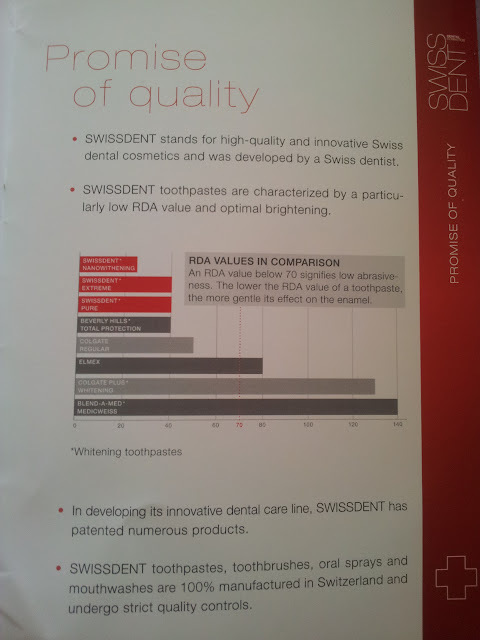 I feel that if I want noticeable results, I would need a stronger whitening method that may be more abrasive.The Swissdent website shows that there aren't any authorised stockists in my state which means that I would have to buy online... though I don't really feel the need or desire to purchase toothpaste online. But yes, I would recommend this toothpaste as it is quite unique to other teeth whitening toothpastes out there. This 'prestigious' brand' has only been introduced to Australia recently and hence I definitely think that it is a worth a try if other whitening products have not been as successful as you had hoped. I would recommend that you give this a try if you have discolouration caused by smoking or drinking coffee, tea or red wine. I didn't expect to receive mouthspray as well as the toothpaste but still I was excited to try this out because I had never used or owned a mouthspray before (they don't seem to be very common). This review will be very brief. 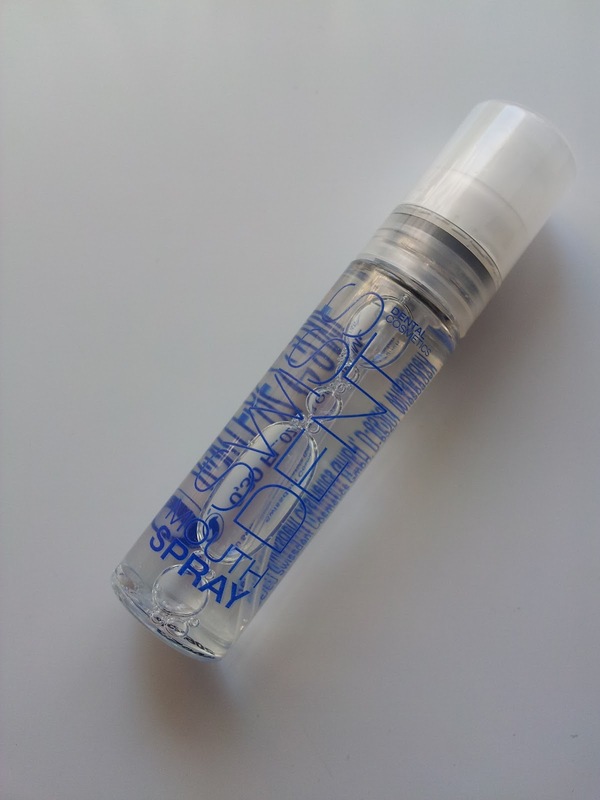 None indicated - just spray into the mouth whenever you need to freshen your breath! Initially I didn't find it to be that pleasant to have a massive burst of mintyness in my mouth but after a few times of use, I got used to it. To be honest, I think that $15 is a little pricey for mouth spray, plus I don't see myself using this often. Again I don't think I would be able to find a stockist of this product here in my city. I could use this as an alternative to mints and gum... or use it as self defence (spray someone in the eyes with it) haha I'm kidding, but yeah I may find myself carrying this in my handbag (takes up less room that mints/gum!) and not repurchasing when it runs out. That's all to my review, thank you for reading :) If you have any questions, feel free to leave them down below. Hope you all have a fantastic weekend and to those in the States, Happy Thanksgiving! Are you happy with your teeth? I want them to be whiter and straighter! I can be quite self-conscious about them. I haven't had braces but I do want to, and also try stronger teeth whitening methods/procedures. I like caring for my teeth's health and appearance as much as possible. PS: Don't forget, my giveaway is still on - Win either a Sigma brush or circle lenses! Disclaimer: I am not affiliated with any of the companies mentioned. Links provided are not affiliate links. This post was not sponsored, nor do I receive any monetary compensation for any sales made. Opinions are all 100% honest. Well a nice product with very affordable price. Whitening the teeth by using toothpaste is the best idea with no risk. If a person having some problem with his teeth then he can use this procedure without visiting in office teeth whitening for professionals. So it is also cheaper that others. Thanks for the post. Teeth is a very important part in our body. 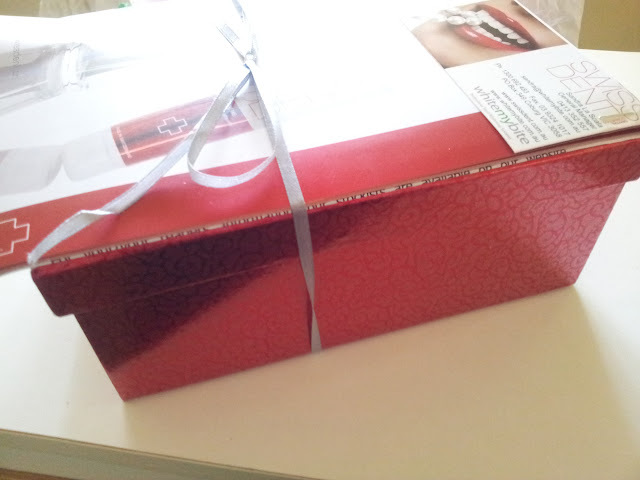 I think Whitening the teeth by using good toothpaste is the best suggestion. Thank you for sharing those product with us.